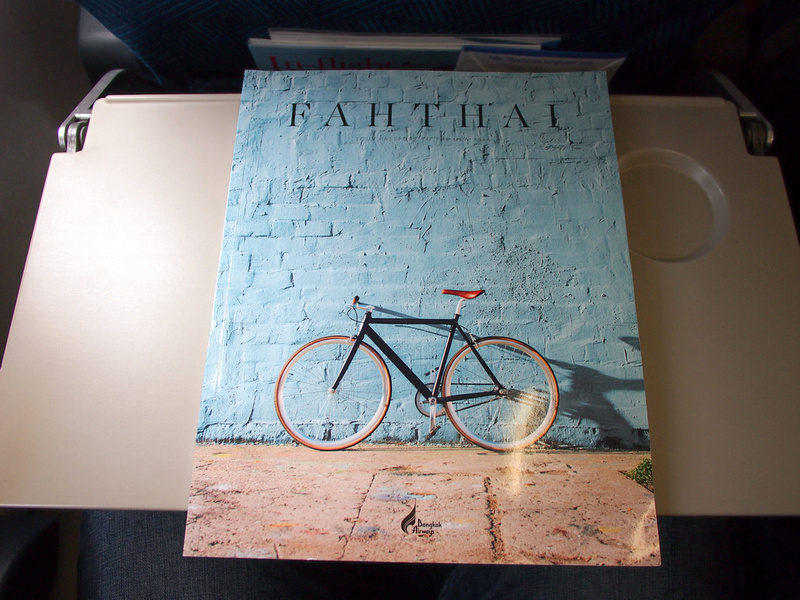 I flew with Bangkok Airways from Chiang Mai to Bangkok (BKK). At the time of my flight there were six airlines flying between Chaing Mai and Bangkok, with three of those going to Bangkok-Suvarnabhumi (the main airport). I prefer to fly to BKK so I picked my flight based on that. I did a flight comparison with Skyscanner and Bangkok Airways returned the best deal. My flight was 1490 THB ($42 USD). As there are so many flights between the two cities the prices are competitive so it often comes down to which airport to fly to, or preferred airline brand. 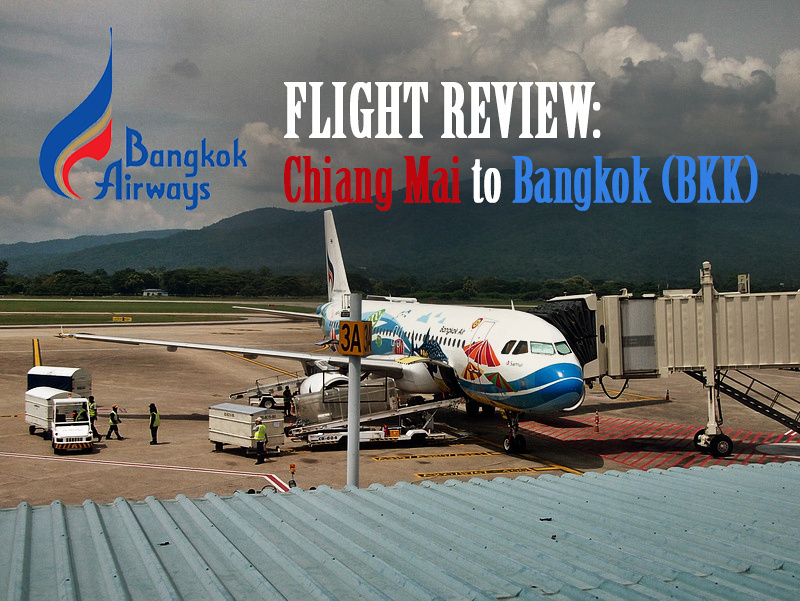 I have flown with Bangkok Airways before and I like their service, so I picked them. The airline is famous for having airline lounges that every passenger can use. 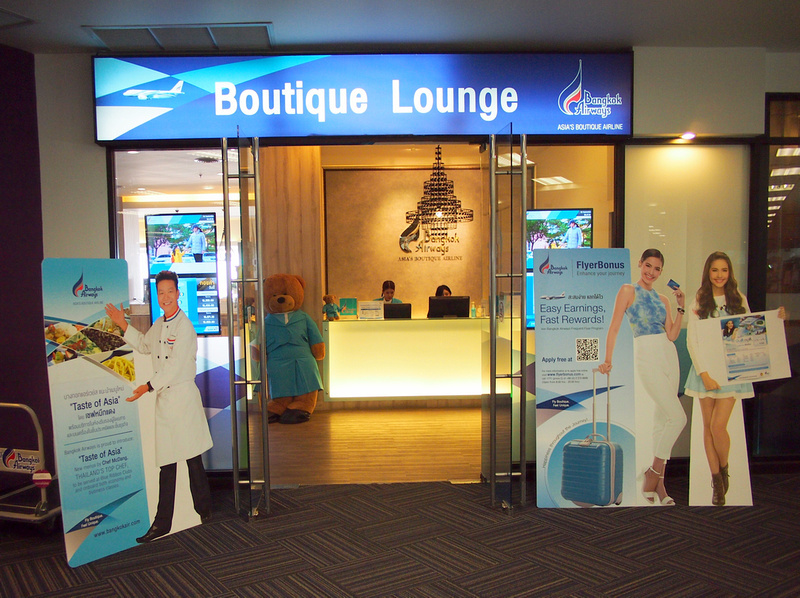 They also own Samui Airport, where the entire airport resembles an exclusive airline lounge. 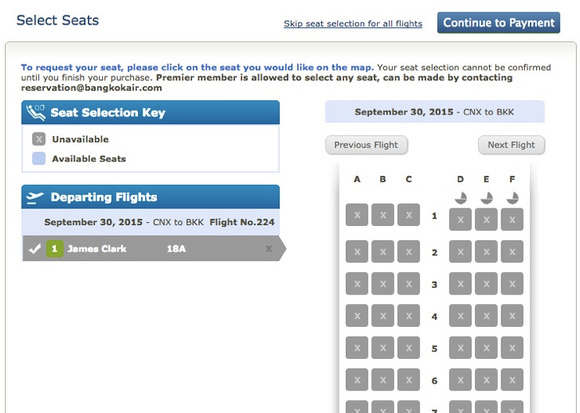 Booking on the Bangkok Airways website is refreshingly simple. There are no surprises with additional fees added on at the end, and you can pick your own seat. There is no fee for checked luggage either. I didn’t check in online but it wasn’t too busy at Chiang Mai. After dropping my bag off I went to the Boutique Lounge, which is just before security check. I checked out my my hotel early so I could do some work from the lounge. 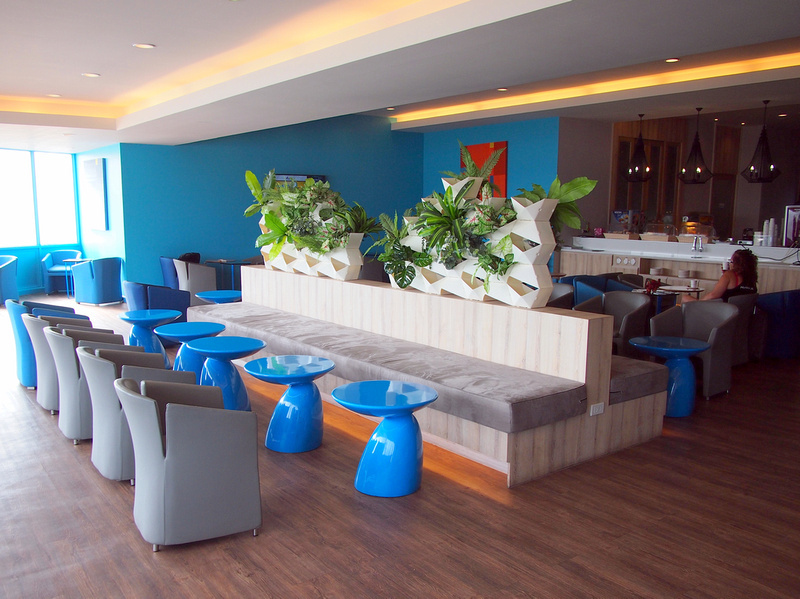 The lounge offers free coffee and pastry snacks, and free wifi (of course). The lounge isn’t on the same par as a premium lounge but it is much better more comfortable than staying the the general lounge of airside departures. The flying time is just over an hour in an A320. 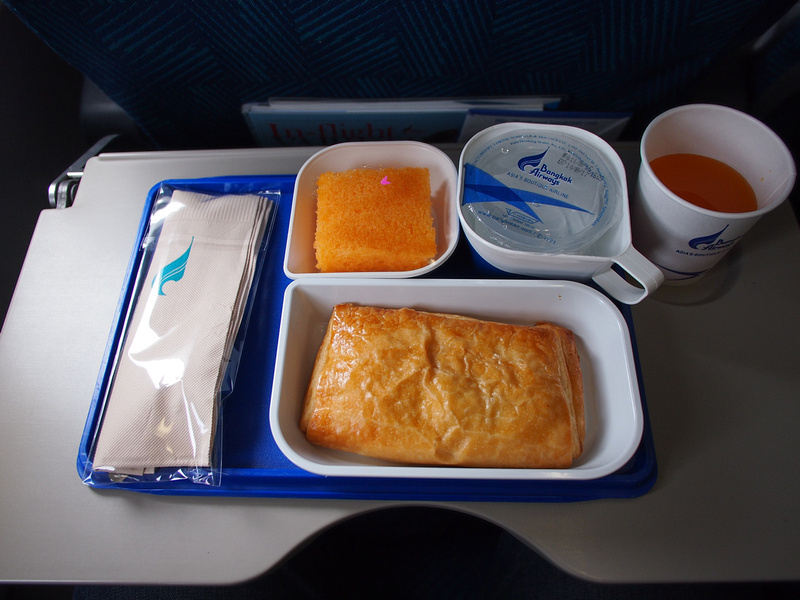 Bangkok Airways is a full-service airline so food is included. This was a midday flight so lunch was served. There was only one option, which was a pastry meal that resembled a pasty. I have no idea what was in it but it tided me over until I got to Bangkok. If you prefer to get the train here is my review on how to get the train from Bangkok to Chiang Mai.